These days there are more fonts available than ever before. However, it’s still rare to find fonts that are a cut above all the rest. For this latest bundle we’ve teamed up with the biggest names in the font world, bringing you their most expertly crafted, premium font families. Discover a high-calibre, incredibly versatile font collection that you’ll rely on for years to come. Discover premier fonts from the biggest names in the type world. In a world where new fonts are released daily, a few key names continue to rise above the rest in terms of sheer quality. We’re so excited to be working with industry leading font designers such as Laura Worthington, Latinotype, Cultivated Mind and countless others, to bring you our highest quality font bundle ever! Every detail in the 196 fonts in this collection has been expertly refined and perfected. When everybody else is working with the same old sub-par fonts, why not stand out, by incorporating these show-stoppers into your regular projects? Bring incredible quality and variety to your font library. The fonts in this collection set the bar for quality. Many of the families include tons of weights, hugely extensive language support, countless glyphs, stylistic alternates, graphical bonuses and catchwords. In short, these are properly made fonts, by world class designers. Not only this, but you’ll never have to worry about font pairing again! Many of the font collections with this bundle have been specifically designed to give you a range of complimentary fonts for your next projects, such as the gorgeous Adorn family – featuring 20 fonts, that work together beautifully. Use your new fonts with confidence, under our crystal clear extended license. This means that you can even use your fonts in commercial work available for resale! Check out the full license details here. Adorn is a welcoming family of typefaces! With a modern and sometimes quirky twist on the staid, almost corporate look of formal invitations, this family of lettering typefaces arms designers with a large number of faces that work harmoniously, despite the distinctiveness of each. Adorn offers seven display fonts, four script designs, monograms, ornaments, illustrations, banners, frames, and catchwords. This font is perfect for anyone in the business of helping others celebrate life — florists, menu designers, landscapers, caterers, tailors, event planners. DIYers and designers will enjoy Adorn, too, for use in prints and drawings, quotes, invitations for gatherings, greeting cards, baby showers, gift cards, even wine bottles! • The jewel in the crown of this collection may be the three monogram design styles: Adorn Solo for one letter, Adorn Duo for a pair, and Adorn Trio for the classic three-letter monogram. Simply type in the lowercase letters and your monogram is finished. Adorn offers four noteworthy “Extra” fonts, though the creative professional will find them anything but superfluous: catchwords, banners, frames, and ornaments. • Adorn Frames is a highly customizable set of elements offering a multitude of approaches to creating frames of any width, height, and style. • 130 Adorn Ornaments – unique ornamental illustrations. Adorn’s script typefaces, using modern lettering with a cursive impression. Their common origins — the fountain pen and a singular design aesthetic—give them a cohesive look, one that carries the warmth of the human hand. • Adorn Coronet’s script face exemplifies the Adorn spirit of both modernizing and personalizing typefaces. It’s crisp, angular, and straightforward; it adds a snappy yet subtle edginess, even a slight sense of masculinity. With 268 swashes and alternates. • Adorn Pomander, is a whimsical font: light and airy. The uppercase letters, especially, break the rules of traditional classic calligraphy. With 390 swashes and alternates. • Adorn Garland is a script face that runs along a different, and somewhat “vintage” direction. With 166 swashes. • Adorn Bouquet is at the other end of the spectrum with its naiveté, giddiness and intentional irregularity. With 240 swashes. • Adorn Sans Condensed bucks the template-derived wedding trend, given its modernity and informality. Brimming with whimsy and the eccentricities of the human touch, Condensed Sans also has contextual alternates with ambicase letters— a distinctive feature not usually found in display fonts. • Adorn Sans Expanded is a display font with warmth and hand wrought charm that works as an elegant replacement for formal type. • Adorn Copperplate has the sturdiness of the classic copperplates, and continues their rich traditional sense of practicality and familiarity—yet with a more modern take. • Adorn Engraved and Adorn Engraved Expanded are reminiscent of formal invitations popular in the past. Still, the sweet tail of the Q and the irregular qualities of the lines bring it into the twenty-first century. • Adorn Serif and Slab Serif is available in Regular and Bold weights. Though these display fonts can also be used for body text, their uppercase mode shines, adding texture and style to a message. • Adorn Roman is both a display and text typeface marked by its traditional calligraphic hand. It was created with a chisel-edged calligraphy pen, and even digitized it has the look of what a designer might create with a calligraphic tool. While each font in the Adorn collection can stand alone, the particular combination of contrasting scripts, display fonts, romans, and the multitude of stylized fonts in Adorn’s extraordinary toolkit makes each designer’s creation one of a kind. Laura Worthington fonts have been specially coded so that almost anyone can access all of the swashes, alternates and ornaments without the need for professional design software. Beloved Script is a lively but casual font. With over 1000 swashes and alternates to choose from, including capitals, beginning, and ending forms, Beloved is powerful for custom headlines and wordmarks. Includes regular and bold weights. Explore what Beloved Script can do for you. Beloved Sans is a simple sans that likes to get swashy. This monoline sans-serif subtly evokes early 20th-century hand lettering made with a ballpoint pen or rounded nib. It’s an all-capitals face with corresponding small capitals scaled to about 85% of the original letters — just enough differentiation to be distinctive in the display settings for which it’s designed. Beloved Sans includes over 800 swash and alternate forms, making it incredibly versatile for wordmarks and distinctive headlines. The titling variant adds an extra stroke to the verticals for a hint of Art Deco style, while the swashed capitals add calligraphic flair to an otherwise understated sans. Includes regular and bold weights, and lining and old style numerals. Mix and match characters for package designs, menus, and invitations. Charcuterie is a family of ten distinct yet related typefaces, many of which have their own font families, and three decorative/ornamental typefaces. • Charcuterie Engraved features 135 swash alternates and Charcuterie Cursive boasts 275. • Charcuterie Frames offers a broad and endless approach to creating frames of any width, height and style. Featuring 60 corner elements and 20 top, bottom and side pieces along with a detailed User’s Guide in the ‘Gallery’ on how to construct the frames. • Charcuterie Catchwords features nine different styles for a total of 82 glyphs. • Charcuterie Ornaments is very practical and features 100 glyphs a vast array of arrows, brackets, rules, icons, ribbons and more. This ambitious, yet accessible, set offers a virtually endless series of combinations, allowing you to form a tasty platter of ingredients, for each project. Used solo or blended with other fonts from this family, Charcuterie is well suited for headlines, titling, logos, display, packaging, signage, or advertising. Dig deep into each typeface to find a rich set of fonts (the number depending on the typeface), revealing variations upon variations. The family of Charcuterie is a bit reminiscent of early 1900s styling, not precisely Bauhaus or Art Deco, not a revival, but an imagined restoration based on memory, captured from novels and movies set in Paris, a modern echo of a time when people strolled along and stopped to read a French bistro chalkboard menu drawn with letters that resemble Charcuterie. The single hand that created Charcuterie imposes a sense of compatibility, despite how different the fonts initially appear to be. The further glue that holds this set together is the availability of font files, purchased separately, of decorative elements: Charcuterie Catchwords, Charcuterie Ornaments, and Charcuterie Frames (borders, corners, and frames). Finding fonts that work together to capture the aesthetic of an age is one of the biggest challenges designers face. Doing so without resorting to tired cliché fonts is even harder. Boucherie captures the lively essence of 19th-century French advertising typography with a collection of original designs, rather than strict historical revivals. Use Boucherie to create typographic compositions that are at once fresh and familiar. Boucherie provides four distinct display types – plus ornaments, catchwords, and frames – that beautifully complement each other. Details like low, slanted horizontals and generously proportioned bowls recur throughout Boucherie, providing subtly familial visual cues. Boucherie offers a smoothed, polished, cleaned-up versions of Laura’s impressions of 19th-century French type and lettering. Prêt-à-porter is a project developed as part of a series of type experiments appearing on the blog ‘Letritas’. Prêt-à-porter is a very expressive friendly font with a handwritten look, smooth curves and strong identity. Its counterforms make it a carefree, wild, cheerful, light and highly readable typeface. This type system consists of two Script families—Contrast and Linear—and a Slab family. The Contrast set works as a complement, providing more elegance and formal refinement. Both Linear and Contrast come in 5 weights plus Ornaments, which can be used as initial and terminal forms since they have been designed for connecting with each letter. Linear and Contrast families include ligatures and the whole font family supports 208 different languages. A family of Grotesque features with a functional and seemingly clean style that looks to keep a neutral (or basic) appearance on paper, but includes lots of details that give it a unique personality. Basic Sans is a sans-serif typeface well-suited for publishing projects, medium-sized text, branding, posters, headlines and more! This font family comes in 7 weights—ranging from Thin to Black—plus matching italics and has a set of 416 characters that support 206 different languages. Latina is our first humanist typeface designed for use in continuous text. This font is based on calligraphy, but calligraphic features have been changed in order to make Latina a more neutral font. This prevents readers from losing their focus when reading continuous text. On the other hand, these same features get highlighted when using the font for headlines or display text. This 11-weight family includes italics and small caps, and supports 219 different languages as well as several sets of figures. Latina is the perfect choice for publishing design (books and magazines), branding and advertising. Summer never ends with Bikini Season font! This is the new font duo by the couple Coto and Luciano- combining two of our best sellers to create this relaxed, spontaneous and feminine pair. 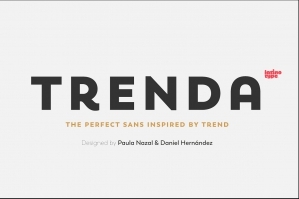 This font duo is intended to be used for posters, labelling or branding. The sans and script styles add visual hierarchy when composing text. Feel the fresh free spirit of its OpenType features and ornaments! Bikini includes a sans version, based on the proportion and structure of Roman capitals, but with a contemporary flavor and a clean style that give the typeface a chic touch. The other version of this font duo is a modern calligraphy script of handmade style. The mix is just perfect: opposites attract creating a very interesting counterpoint. Can you guess who is the designer behind each style? • TTF & OTF formats included. • 16 Rose Gold Photoshop styles. Enjoy creating and please do share any work you make with this typeface! Created to give that authentically hand drawn look, with subtle textures and uneven baseline. Perfect for logo marks, typographic quotes over photos, book covers and packaging design. Plus with the opentype feature turned on in your favourite editing programme you get access to the double letter ligatures. This font trio was inspired by traditional American typography and lifestyle. 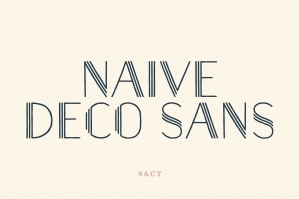 This collection includes Script, Sans and Serif, which perfectly create a vintage mood. This collection is perfect for lettering and logotype, labels, t-shirts, product packaging, invitations, advertising and so much more. The Legend Script comes with beautiful alternates for uppercase and numbers, 12 lengths end-swashes and special short version for lowercase characters with protruding elements like b, d, f, g, h etc (It helps to arrange words in two lines more compactly). The Legend Sans and Serif were initially designed as secondary fonts after Script, but in using them I realised that they also look great! All three fonts have a rough effect to look like a brush painting. • 3 fonts in .OTF/.TTF format. • 8 textures (used in design examples of this presentation). Feast your eyes on Brushfire! A gritty, yet delicate, hand-inked display font with plenty of soul. Made with a super-fine art brush and thick watercolor ink, Brushfire is a blend of classic characters, and quick stokes for a unique set of glyphs that work on just about everything. Introducing the Viva Beautiful Brush Kit! This kit comes with two hand painted fonts. This brush kit is perfect for fashion, beauty products, food, apparel and magazines. Viva Beautiful could also be used for film, television, marketing, advertising and websites. Bring beauty to your designs with Viva Beautiful! Joyful Script is a hand-brushed signature style font. It comes with upper and lowercase characters, punctuation glyphs, numerals, web font, and supports international languages. Stylistic sets for several key lower case characters are also available. Perfect for logo marks, typographic quotes over photos, book covers and packaging design. Note : To access all the alternate letters for this font you will need software with a glyphs panel – such as Adobe Photoshop CC 2015 , Adobe Illustrator, Adobe Indesign, etc. November Starlight is a lovingly hand-painted script font, fantastically elegant & eccentric with a sprinkle of carefree fun. November Starlight doesn’t play by the rules – with extra bouncy characters, long vertical brush strokes and authentic hand-painted edges, it’s bound to make a bold statement on anything from greeting cards and invitations, to personalised logos and handwritten quotes. November Starlight: A cursive font containing upper & lowercase characters, numerals and a large range of punctuation. November Starlight Alt: This is a second version of November Starlight, with a completely new set of lowercase characters. If you wanted to avoid letters looking the same each time to recreate a custom-made style, or try a different word shape, simply switch to this font for an additional layout option. • Fonts are provided in .TTF & .OTF formats. I recommend installing the .TTF files, and the .OTF only if necessary. • Special characters are also available for several lowercase letters, with added beginning & end swashes – please see the final preview image for a full list. These characters are only accessible via software with a glyphs panel, e.g. Photoshop CC, Adobe Illustrator. Thanks for checking out the HYPER DRIVE brush font! It’s loud, fast, raw, and guaranteed to propel your text into hyperspace. Hand-painted with distinctive rough brush strokes, HYPER DRIVE is bound to make a big impact on logos, apparel, quotes, product packaging & more. • HYPER DRIVE – A hand-made, capitals-only brush font which has a complete set of alternate A-Z characters. Simply switch between upper & lower case on your keyboard to access the alternates. (Tip: Try mixing up both sets of characters to achieve the best text layout). • HYPER DRIVE Italic – A slanted version of the regular font, creating faster movement in the characters. • HYPER DRIVE Bonus Vector – A bonus set of 18 hand-painted doodles, swashes and paint splatters. • Font files are provided in both TTF & OTF font formats. I recommend installing the TTF, and the OTF only if necessary. • Vector files provided in both AI & EPS formats. Midnight Owl is a condensed, hand lettered display font that was based on modernist-serif letterforms and packs a ton of quirky character into one single font. Use it clean, or dress it up a bit with the bonus decorative layers, including a drop shadow & inlay. Midnight Owl comes with all basic Latin glyphs, punctuation, and numerals, as well as basic European support. It is the perfect font choice for any project where you may need a bit of a human-touch, from logos to packaging and web design, this font will definitely add character to any design project. Language Support: Breton, Catalan, Czech, Danish, Estonian, English, Finnish, French, German, Icelandic, Italian, Latvian, Lithuanian, Norwegian, Portuguese, Romanian, Scottish Gaelic, Slovak, Slovenian, Spanish, Swedish, Turkish, Welsh. Hummington is an elegant script typeface with a ton of OpenType features, which will help make your designs and digital creations stand out. This font is consist of 700+ characters, 16+ stylistic set alternates, elegant swashes, unique ligatures, old-style figures and multi language support. Hummington was crafted with precise shapes and clean lines. Gorgeous swashes connections make combining letters easier, more fun, and outstandingly beautiful. This script typeface is perfect for a variety of projects, such as logo design, prints, displays, clothes, label designs, posters, cards and much, much more. The stylistic sets are alternate alphabets that you can access with any OpenType savvy program such as Adobe Photoshop or Illustrator, CorelDraw and Adobe InDesign. Language Support: Afrikaans, Albanian, Asu, Basque, Bemba, Bena, Catalan, Chiga, Cornish, Danish, English, Faroese, Filipino, French, Friulian, Galician, German, Gusii, Icelandic, Indonesian, Irish, Italian, Kabuverdianu, Kalenjin, Kinyarwanda, Luo, Luxembourgish, Luyia, Machame, Makhuwa-Meetto, Makonde, Malagasy, Malay, Manx, Morisyen, North Ndebele, Norwegian Bokmål, Norwegian Nynorsk, Nyankole, Oromo, Portuguese, Romansh, Rombo, Rundi, Rwa, Samburu, Sango, Sangu, Scottish Gaelic, Sena, Shambala, Shona, Soga, Somali, Spanish, Swahili, Swedish, Swiss German, Taita, Teso, Vunjo, Welsh, Zulu. TT Corals is a modern humanistic sans-serif which has many typical traits of the beginning of the 20th century. For an increased functionality of the font family we’ve created 6 typefaces of various weights: Thin, Light, Regular, Bold, Extrabold, Black. The distinctive smoothness of the lines and separate elements allows using TT Corals for different design areas. For instance, it will perfectly fit for the topics of classical literature or music, and any other diverse creative areas of humans’ activities. TT Corals inspires with its freshness and novelty and gives new ideas for your creativity and art. Gilroy is a modern sans serif with a geometric touch. It comes in 20 weights, 10 uprights and its matching italics. The Light & ExtraBold weights are also inculded, so you can use them to your heart’s content. Designed with powerful opentype features in mind. Each weight includes extended language support (+ Cyrillic), fractions, tabular figures, arrows, ligatures and more. Perfectly suited for graphic design and any display use. It could easily work for web, signage, corporate as well as for editorial design. 20 creative, professional-grade, multi-purpose fonts, perfect for adding professional and beautiful typography to your design work. There are a total of 196 fonts included in this bundle, to be found within 20 font families. Deal includes extended licensing on all fonts, web fonts, and a handy .pdf browsing guide and image gallery, for navigating your new items. Deal includes 20 best-selling, versatile font families. All fonts include web versions. We've included separate downloads for web and desktop fonts. OMG What a pity I didn’t know your site earlier. I just discovered this bundle and was wondering if there’s any chance that you relaunch it? I’d love to buy it!! Thank you so much for your comment and I am so sorry that you missed this one! As we now have our marketplace, we will no longer be featuring our older bundles as re-runs in conjunction with our new bundles. I’m so sorry to disappoint you. I purchased this bundle back in October and just got around to trying out the November Starlight font and discovered it is damaged. The font displays lines through many of the letters and this is NOT supposed to be part of the font. I have reinstalled the font file just in case it might make a difference, but it did not. I read all the comments and no one else mentioned having a similar problem, so I guess it may just be my file. Can I get a new font file of November Starlight? BTW, this is an awesome font bundle! Thank you so much for your comment and my sincerest apologies that you are experiencing issues! We are so glad you like the bundle- your support means a great deal to us all. I am also having issues with the November Starling font. Am gutted as need to use, it causes my pc to virtually lock up and you cannot adjust. Love it and if it is not likely to work can you recommend a very similar font to purchase? Thank you for your comment, I’m so sorry to hear that you are having some trouble working with your November Starlight font. Rest assured, I am on the case! I’ve sent you a quick email to get some more information from you and assist in getting you up and running again. I hope it helps! Just wondering if i can still purchase this bundle. Im so late in updating my design cuts arsenal! Sorry about thT! If there are any in particular that caught your eye, please do let me know which ones they are and I would be more than happy to point you in the right direction to pick them up separately. 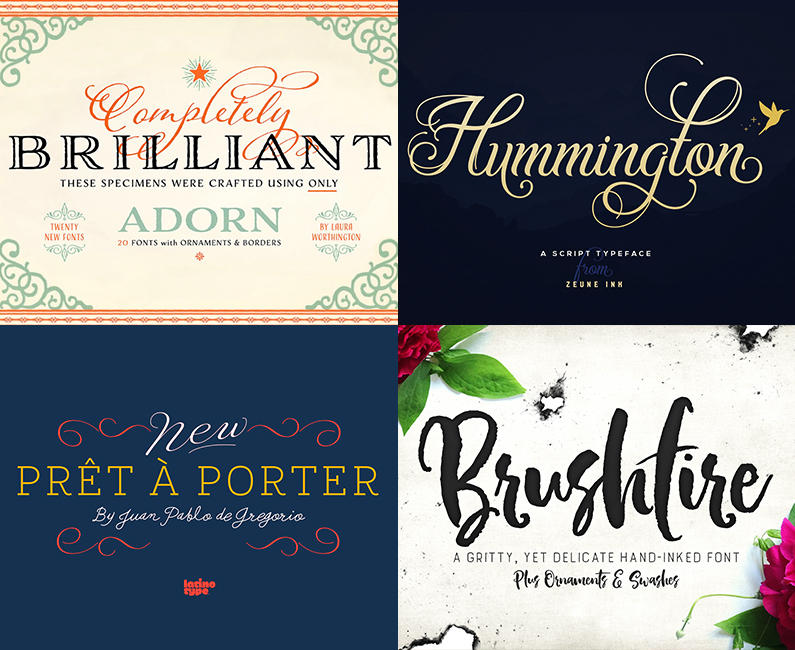 Life has been crazy hectic, so I just got around to downloading this super-fab bundle now… but I just had to hop over to say, this has (yet again) a load of the most amazing, super-yummy fonts ever! Thanks so much, my DC-superheroes! Thank you so much for your lovely feedback! We’re so pleased you are loving your new fonts 🙂 We hope you enjoy working with them! Thanks for getting in touch, I’m really sorry to hear you missed out on this deal! Rest assured, I am on the case 🙂 I’m sending you an email that should help get you back up and running! An amazingly awesome deal – downloading as I type 🙂 Thank you so much, this is just incredible! Thanks so much for your comment, Brenda! If you have any queries please do let me know, I’m here to help! I am always so impressed by the quality of these font bundles. Thank you for the CRAZY deal! And, I said that I’ve bought enough with the last bundle. Then I saw this one, put it off long enough…hits the “purchase now” button. Thank you for your kind words and for picking up this font bundle 🙂 We hope these fonts make a really useful addition to your creative toolkit! If you have any queries when working with them, please do let me know and I will happily lend a hand! Thank you so much for your purchase! It’s so great to hear that you were able to pickup this font bundle just in time 🙂 We hope you love working with them all! Thank you so much for getting in touch with your incredibly kind words and for your purchase! We hope you get loads of use out of your new fonts 🙂 If there is ever anything I could assist you with please do let me know. I’m always happy to help! Oooooohhhhhh!!! please! again??? have mercy!! I can’t help to buy this bundle, so great! ouch! my wallet hurts…. Thank you so much for your awesome comment and for picking up this font pack! I’m sorry for any pain caused to your wallet but I hope that the addition of some amazing new fonts to your creative toolkit makes up for it 🙂 We hope you love working with them all! Thanks again, Cecilia! Happy Designing! Hello. Can I use these fonts (outline, expanded) to sell works on microstocks? Thank you kindly for your comment! I can certainly help you out with your usage query 🙂 I have sent you a quick email to get some more information from you so that I can 100% confirm if your usage would be okay! I hope this helps, Feodora, and please don’t hesitate to contact me should you have any other questions. I’m here to help! MORE POSSIBLE FONT CONFLICTS: I’ve been scanning some of the other comments here & I see questions regarding a few fonts that I haven’t even tried using yet…Hopefully, their will be an all-encompassing FIX that can be widely published to everyone that may be affected. 1) ADORN Engraved / Engraved Expanded: I can see both fonts listed in my FONTS folder, but it seems like I have only access to the Expanded version – Also, they look identical too me ??? 2) Hummington – Not sure how to access the Stylistic Sets – Not in CS6 Open Type Character menu – Can’t find using Charcter Map & trying to type in those SS01 – SS02 etc. at the beginnings or ends of words is not working like the way some of the more advance fonts I purchased through DC bundles. I also sent an email to the maker last night, but haven’t heard back yet. Some people also asking questions about this font on Creative Market too. 3) Midnight Owl – only 2 of the 3 fonts appear to load – I can see 3 in my FONTS folder, but the Shadow & Inlay only. In CS6, selecting this font, you can choose between the 2 just like selecting different weights from drop-down menu. The actual filled main font – I cannot get to load?? Also, when you open the preview panes of each font, their is some naming discrepencies going on there that makes the confusion worse. If I remember, more than 1 of the 3 fonts are labelled as “Shadow”, the word “regular” does not appear – no consistency font file labeling??? It looks like you guys unfortunately will be spending some time investigating at least 5 or more different fonts / makers. If anyone else has some answers, perhaps DC can also consolidate the information into 1 area posted on your site for refernce to these specific issues. Thank you so much for getting in touch and bringing this to our attention. I am so sorry to hear you are having some issues working with these fonts! I have just jumped in and tested these on my side and Adorn, Hummington & Midnight Owl appear to be working correctly on my side – rest assured, I am on the case to get you up and running with these fonts! I’ve sent you an email to get some more information from you and investigate this further! I hope it helps, and please don’t hesitate to contact me should you have any other questions. I’m always happy to help! Great selection of fonts here! Just for the record, I’m also someone who likes the calligraphy and swashy fonts. One quick question, the Beloved font shows examples that look like neon. Is this something that comes with the font package or is it a style that has been applied separately? The neon affect is something Lauren has applied, but you can absolutely do this too in your blending options by playing around with the outer glow! Oh man. I want, I want, I want. Unfortunately, I MUST behave! I still have fonts that I purchased last year that I still haven’t organized and I really need to do so before investing in more. However, if anyone is going to tempt me, it is always you guys! I completley understand what a mammoth task organising can be, so I really do hope that you manage it with success- I’m sure you will! Just bought. And funny thing is (in contrast to others) I bought it for the swirly/calligraphic ones, so I guess there’s a little for everyone. Are you still running the secondary deals, ie, if you purchase one you get a chance at another that you might have missed before? I always enjoyed that option. Thanks! As we have recently launched our new marketplace, we will no longer be featuring our older bundles as re-runs in conjunction with our new bundles- I’m so sorry to disappoint you, I have just popped you over an email with some more information on this! would it be possible to have a set of pngs of each font graphic as separate files, labelled according to name of font. i.e. a png named gilroy that has a picture of the font (as shown above in the bundle overview). It would make finding the right font insanely easy…. You are more than welcome to take the preview images from the deal page or image gallery to help with this in the meantime! The very special thing about this amazing talented group of “eye candy” creators is that reading every single comment and feedback and reviews is just as pleasurable as it is when your first download and open and gaze at all the wonders for the first time after buying the digital eye candy!!!! Thank you so much for leaving us such an awesome comment! I am so glad that you’ve enjoyed reading through the comments on this one just as much as looking through what’s included! Thank you so much for your comment – we’re so pleased you’re liking the addition of the .otf files with this bundle! 🙂 Thank you for letting us know about the PDF guides, I have forwarded this onto our technical team to take a look at this for you! My apologies for any confusion caused! Font bundles from designcuts and their partners are always so good. Abundant resources from serious and professional designers. If there is ever anything I could assist you with please do get in touch. I’m always happy to help! There seems to be a little problem in Money Penny Script, though: The characters, Ä, ä, Ö, ö, Ü, ü, Ï, ï, Ÿ, and ÿ (and possibly other characters with diereses, if there are any more) are missing the diareses, so they look like A, a, O, o, etc. Accented characters are displayed correctly. This way the font is not usable for Germans, Turkish people, etc. In the font perview at Creative Market, for example, the characters look fine (well, this is comparing the desktop font I tested with a webfont…), so maybe you just don’t have the newest version? It would be great if this could be corrected! Thank you so much for your kind words and for purchasing this bundle 🙂 I am so sorry for this inconvenience with your Money Penny font. Rest assured, I am on the case! I have sent you an email to get some more information from you and assist you further with this. I hope it helps, and please don’t hesitate to contact me should you have any other questions. I’m always happy to help! We totally hear you on that one, Zaynab! Thank you so much for your purchase 🙂 We hope you get loads of usage out of your new fonts! Thank you kindly for your purchase, Rob 🙂 We really appreciate your support! Thank you so much for purchasing this bundle and for getting in touch with your lovely feedback 🙂 You are in great company – we’re all a bit obsessed with fonts here! Fonts – Fonts – Fonts….Who doesn’t love fonts ! Just picked up this new batch of ’em… SWEET !!! I thought for a photographer having around 1600 fonts installed on my laptop was getting a bit crazy until I found a YouTube video with a designer having approx. 65000 fonts !!!! NUTS !!!! NOTE: Can you guys at DC prepare a tutorial video explaining how most graphic designers & digital creators organize their massive font libraries & what software options are most widely used to help us “less fortunate” people out??? Thanks you for sharing the YouTube video with everyone, it’s look super helpful! From what I can hear, this is a fairly London like accent but it probably sounds very different to those from overseas! I thought I sounded very well spoken but having spoken to a few of the girls in the office who are from Ireland and South Yorkshire, I’ve come to learn that I am not lol. Your support as always is truly appreciated James and I hope that you’ll love working with your new fonts! You don’t even know how excited I am about this. The Laura Worthington fonts alone…Thank you! I am really pleased that you like it too! Thanks so much for letting us know! The fonts are amazing actually they are in set with their names so easy to remind them if the names and its types wouldnt be mentioned so i would be searching on google bit THANKGOD FOR EVERYTHING i found here.i liked neon works boucherie and hummington some of these gives vintage looks which looks classy. Is anyone else having trouble with the PretAPorterContrast-Ornaments? The Light, Regular, and Semi-Bold versions tell me that it is not a valid font file when I click to install. The Bold and Thin versions install fine. I am so sorry to hear this! I looooooooooooooove your font bundles! Thanks for the awesome comment and for your purchase! They are all so great..but LOVE the bikini season font! OMG you guys! This is the BEST DEAL EVER. Exceptional fonts, I’ve been looking for Laura Worthington’s collections for ages! I love you, awesome team, thanks so much! Aww thank you so much! I am really glad that you like this one. Would you marry me, Design Cuts team? We super appreciate your support Fabio and hope that you love your new fonts! Thank you so much for your purchase, Ezgi! 🙂 We hope you love working with Adorn and the other fonts in this pack! Lots of great fonts here! I’m particularly excited about TT Corals and Gilroy (which I had looked at a few weeks ago on MyFonts) for their Russian capabilities. Thanks for another awesome bundle! OH, I’ve not bought in a while. Wanted to but just couldn’t quite swing it. But this deal! Latina, Money Penney, Midnight Owl, Hummington – really all of them are excellent. But it was the Worthington fonts that made this an instant buy. Like so many people I’ve been wanting them for a long time. No way I could pass this one up. You guys always put together a great deal but this is one of your best. And that’s a high bar. I’ll just have to skip a few meals. And totally worth it. Wow, thank you for such a great comment. Laura’s work has been so highly requested and we absolutely could not wait to share these with you all. Thank you so much for your purchase, your support really does mean the world to us all here at DC! I’m trying to do low-carb to lose weight! Oh, well beans and toast it is. I feel your pain Lorraine! Tom and Team, what can I say? Other than TMMA (Take My Money Already). Another magnificent deal. Thank you Ladies and Gents of Design Cuts! Aww thank you so much and thank you for your purchase! That is the fastest I’ve ever bought a deal. Normally, I look over the top graphic to get a summary then enjoy scrolling down, reading about each product…building the suspense. Tonight, I got home and checked my email on my phone, saw all the Laura Worthington fonts, walked to my computer and bought it. I haven’t even read the descriptions or, I fear, studied any of the other fonts included. I’ve listed Laura Worthington on the surveys you send multiple times, hoping maybe even to just pick up one or two of her “back catalogue.” I never thought I’d get a host of her font families for such a bargain! THANK YOU for negotiating this deal and making me a very, very happy person today. 😀 this comment is great! Thank you so much for your super speedy purchase, the whole team and I really appreciate your support. I mean, picking this one up without even reading through the deal page? That’s awesome! Hi! Love these fonts, they are beautiful. Can you explain how to do the quick install, please? Thank you so much for your incredibly kind words! I can certainly help you out with quick installing your fonts 🙂 I have sent you an email to assist you with this. I hope it helps, Alison, and please don’t hesitate to contact me should you have any other questions. I’m always happy to lend a hand! WOW! Laura Worthington overload! I hadn’t been tempted by one of these offers in a while, but this one is a no-brainer. Thank you so much, for your comment and your purchase! 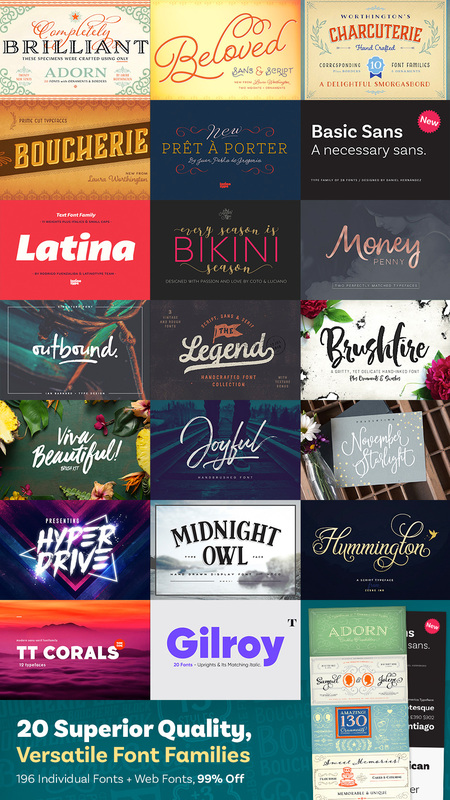 OMG, there are so many awesome fonts in this bundle. Thank you thank you thank you!!!!! No, thank you for the awesome comment! Aww, thank you so much this is such a lovely comment to read! Your kind words and support mean so much to the whole team and I- we really appreciate you taking the time to leave such wonderful feedback. Oh my, the deal I have been waiting for 🙂 Huge fan of Laura Worthington fonts. Can’t wait to play with the others too. They all look amazing!!!! Wow, thank you so much for the kind words! I am so pleased that some of the fonts you’ve been waiting for are finally here 😀 I’m super excited for you to have a play around with them all and remember, we love to see what our community are working on so please feel free to share your creations with us! Thanks so much for your support- it really does mean a great deal to the whole team and I.
It’s awesome to see some of your favourites in the one and a big thanks for your purchase. I really hope you’ll love working with them and that they make an excellent addition to your creative toolbox! No hesitation whatsoever on this incredible deal — simply superb!! Aww thank you so, so much for your kind words! You are insane! I just spent money on the previous bundle and I sais – ok – enought for some time, and what I see? THE MUST…. Thanks so much for leaving us a comment. Thank you so much for the totally awesome comment and for your purchase. Absolutely awesome font bundle.Thank you! Also thank you very much for including fonts that support cyrillic letters (Russian). Those are really hard to find! Cheers! I am so pleased that there are fonts that support cyrillic letters in this one for you 🙂 I hope that they work really well with all your creative projects. I’m really sorry for this issue you are having with your Midnight Owl font. Rest assured, I am on the case! I have sent you a quick email to get some information form you and help get you up and running with this. I hope it helps, Graham, and please don’t hesitate to contact me should you have any other questions. I’m always happy to help! Thank you so much for your comment and your purchase! I’m with Stacy on this one – you guys at DC have basically secured the rights to my first born son. 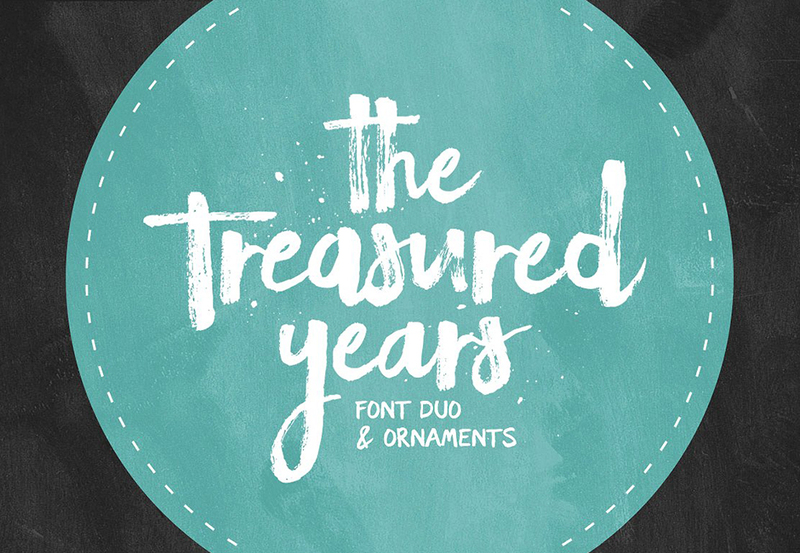 SO freakin’ excited to see Laura Worthington fonts in this bundle! Can’t wait to get home from work and buy this bundle! Thanks so much for the comment, oh you ladies do make me giggle! Do you know HOW LONG I ha coveted these exact Laura Worthingtom font families, but could never afford them?? Years. I kid you not. THANK YOU. IF I COULD STILL HAVE CHILDREN I MIGHT CONSIDER A SACRIFICE. Thank you so much for leaving us a comment! High quality as always! Latina looks beautiful, and I *just* bought Basic through MyFonts a few weeks ago—boohoo!—and love that as well. Gilroy looks like a good one for Cyrillic. I do wish, though, that the workhorses (good, solid serifs and sans-serifs with multilingual support, OpenType niceties, etc.) could be separated out a bit more from the script fonts. To me—a typesetter who occasionally does more ‘artistic’ design—the script fonts are pretty, but not much use. Workhorses like Basic and Latina are the true scoop. I frequently buy these deals feeling like it’s an good deal, but also like I’m not getting as much out of them as many others, because I usually buy the whole deal for just two, maybe three fonts and end up never using the rest. 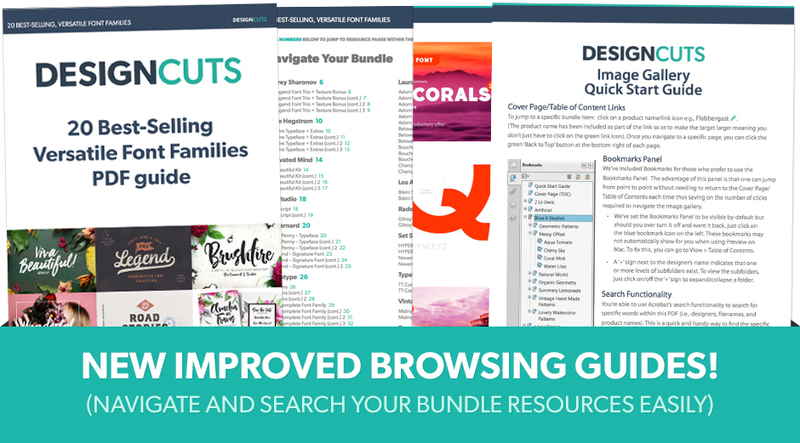 I seem to recall there have in the past been script and flourish bundles (which I passed on, obviously)—how about a professional typesetter’s workhorse bundle to complement those? I realise those kinds of font are often more expensive, and I wouldn’t expect so many different fonts in such a bundle—but a bundle of 8 high-quality serifs and sans-serif families for typesetting would be worth 10 times as much to me (and others, I’m sure) than 20 families of mixed-purpose families. I second what Janus said. While many of the hand-lettered decorative fonts are gorgeous, they’re not nearly as useful to those of us more focused on the text layout/typesetting end of things. I’d love to see a Typesetter’s Collection that’s mainly serif fonts with a few sans-serif thrown in for variety; maybe a collection that runs the gamut from something with a more antique feel all the way up to a clean, modern (or even slightly futuristic) font? Seconded! If I see one good solid font in the bundle then it’s immediately worth it to me but most of the time the scripts and swashes sit and are only used on special occasion. Thanks so much for letting us know! I just want to second–or third–what Janus said about typefaces. Good, workhorse families—sans and serif– with a range of weights–and widths–, o.s. figures and small caps, etc. are flexible and always needed. How many brush and script fonts can people need?! They’re so application-specific and there’s a veritable tsunami of them these days. Design Cuts is one of the few bundlers that hasn’t succumbed to bundles of 100 brush fonts. Good for you! For me, Latina is well worth the cost of the bundle so I’m very happy in spite of the fact that it’s unlikely I would ever use any of the other 19 offerings. But that’s just me—i have a largely corporate and business client base. I would definitely be a customer for the newly cut Futura ND. Like all designers, I love Futura and have used it forever but the new ND release adds the original old style figures and small caps that Paul Renner drew, in 1927, but that have never been included in a digital version of the family. Anyway, thanks for including Latina. I’m a customer for that. I would second the request by Janus for a “professional typesetter’s (and designer’s!) workhorse bundle”. Extended families—like Core Sans N, which I use to death—and Interval Next , which I’m looking at, would be the kinds of families that would be great in a bundle. Muriza is a nice slab face. You included it in a bundle awhile back but only in the “basic” version, which lacked many of the typographic niceties that would appeal to a professional. I guess that’s why they have a “pro” version. I would love to see the “pro” version included in a bundle soon. Anyway, thanks again for including Latina! I am so sorry if some of the other fonts included in our bundles aren’t of much use to you! We want our community to love all their DC resources, which is why we love to receive feedback like this, so that we can work on sources fonts that are more specific to your design needs. Whilst the majority of our bundles are put together based on our community’s suggestions, we totally appreciate that different projects call for different font styles. I will definitely pop your suggestions over to our Product Curator- Lizzy and fingers crossed we can get something like this featured for you soon :). I am so glad you like the look of this one and my sincerest apologies that it hasn’t been great timing on Basic for you. Ditto to the original comment! A professional typesetter’s workhorse bundle of good, solid serifs and sans-serifs. I love the idea. Thank you so much for your extremely kind words! I am really glad that there are some fonts you’ve been waiting for included in this deal 🙂 I hope that they all come in really handy ad make excellent additions to your creative toolkit. OMG, I have never hit “Buy Now” so fast in my life. Look at all those glorious Laura Worthington fonts!! Plus other amazing fonts! This bundle is an arrow straight to my heart. Wow, thank you so much for the super speedy purchase! Your support really does mean the world to the whole team and I! I saw Gilroy at the very end and nearly squealed. I’ve been using Ridley Grotesk from Radomir Tinkov a lot lately and I’ve been mulling over getting Gilroy to use as well. So so stoked to pick this up. Heaven in a Bundle. I think this is the fastest I’ve ever seen something and clicked buy. Oh thank you so much for the kind words and for your purchase! Your support means a great deal to us all here at DC. I’ve had my eyes on so many of these fonts for awhile! Ok this quite a remarkable font deal. Wow, thanks so much for the very kind words, I am super glad you like the look of this one! WOW! What’s the word…? Gobsmacked. Utterly. I mean… Guys, this is just… WOW. Thanks so much for the amazing comment, this really has put a smile on my face! Latina! Outbound! And everything else! Thank you for your kind words! It’s great to see that you are loving the additions of Latina & Outbound to this pack 🙂 We hope you’re able to add them to your collection soon! Do you guys need a water girl or something?